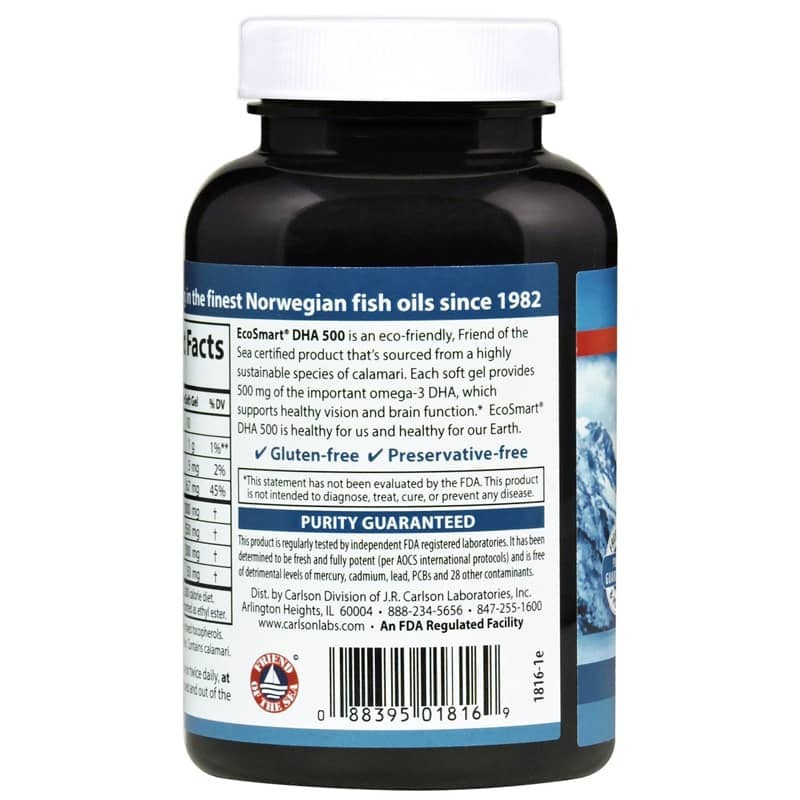 EcoSmart DHA by Carlson is an eco-smart omega-3 Norwegian fish oil supplement with a rich source of DHA to supports brain, nerve, eye, and cardiovascular health. 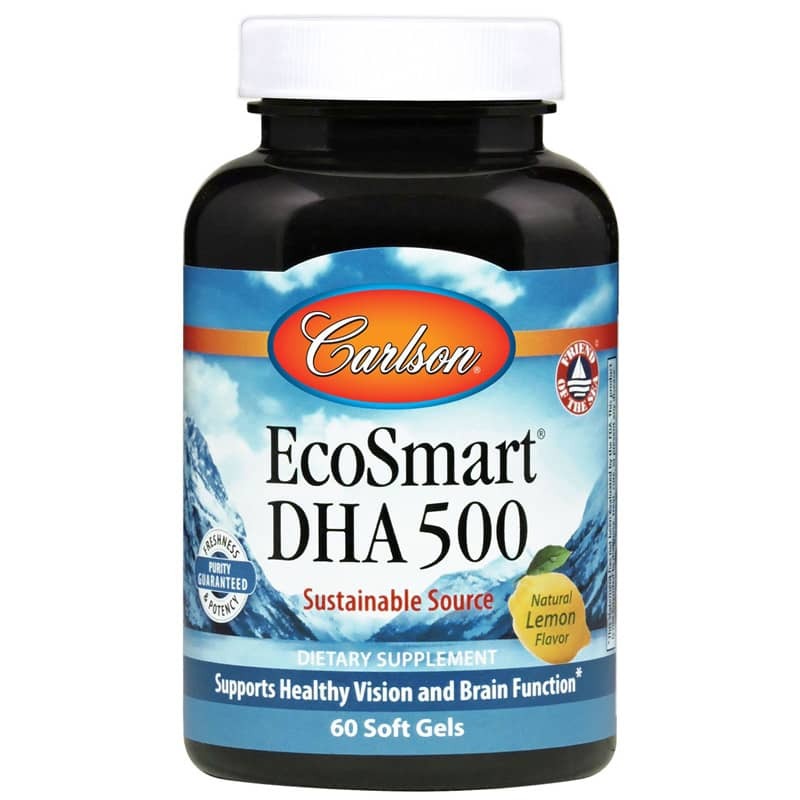 DHA, or docosahexaenoic acid, is an omega-3 fatty acid that supports normal brain function and nervous system development. Pregnant women require sufficient DHA for normal fetal brain and eye development. And infants continue to require DHA. 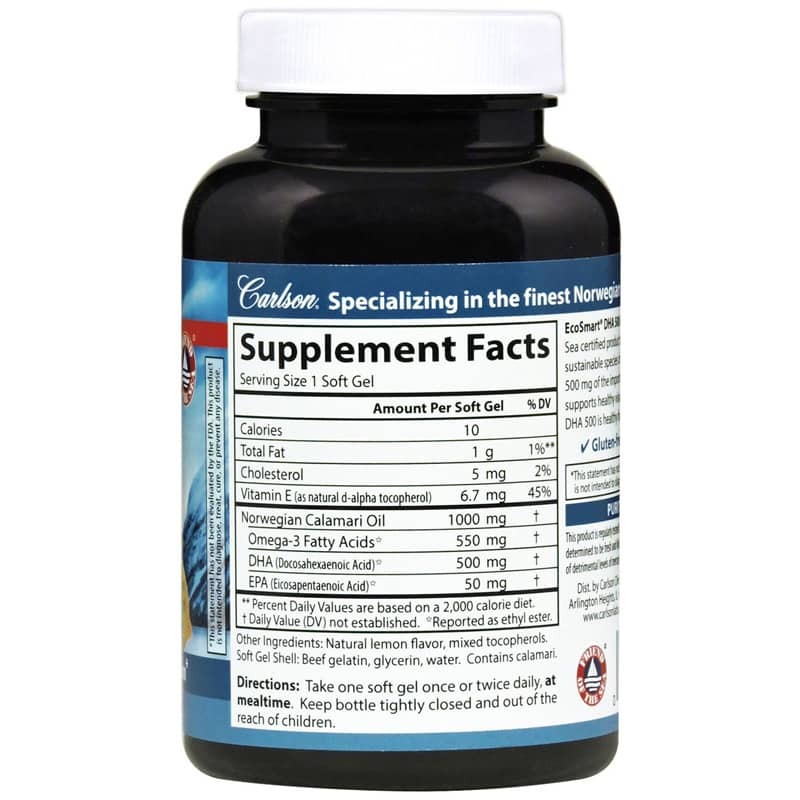 DHA also supports healthy brain function in adults. Tests by an approved independent, FDA-registered laboratory determined this product to be fresh, fully-potent, and free of detrimental levels of mercury, cadmium, lad, PCBs, and other contaminants. To use as a dietary supplement, adults can take one softgel once or twice a day, at mealtimes. Other Ingredients: natural lemon flavor, mixed tocopherols. Softgel shell: beef gelatin, glycerin, water. Adults: Take one softgel once or twice daily, at mealtime.